If you think trying to carry on a conversation in a noisy restaurant or bar is difficult, imagine how whales in the noisy waters of the Salish Sea feel. Whale scientists think rising levels of underwater noise are having a harmful effect on the Northwest’s iconic killer whales. Now the Port of Vancouver, in British Columbia, is spearheading an experiment to temporarily slow down big ships to reduce noise. The population of resident killer whales in the shared border waters of Western Washington and southwestern B.C. has dwindled to 78 individuals. These endangered orcas primarily use sound—including echolocation—to hunt for food, to orient and communicate. 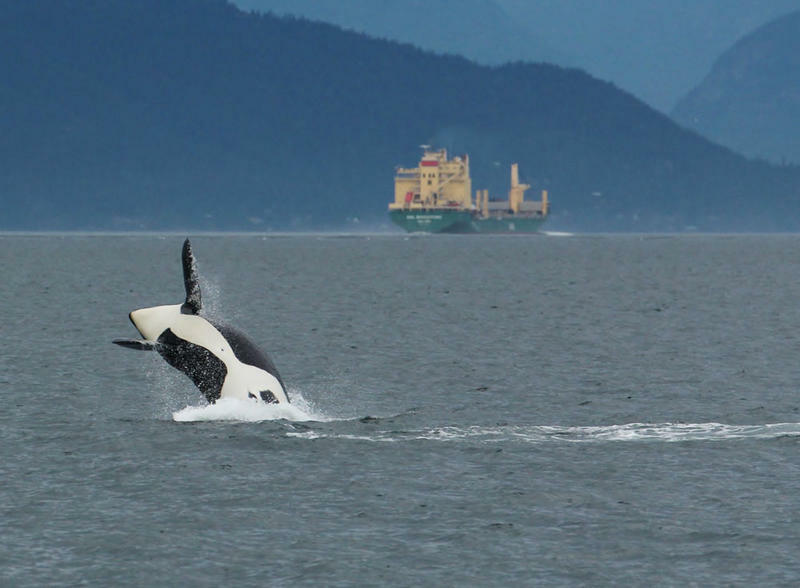 The nonprofit OrcaLab made this recording along northern Vancouver Island and you can hear how it doesn’t take long for the ship to mask the whale calls. That could effectively blind the mammals whose ears in a lot of ways are their eyes. Krista Trounce of the Port of Vancouver is taking a whack at doing something about the underwater noise. Trounce directs the port’s ECHO Program, a project to manage and mitigate threats to endangered whales from shipping. 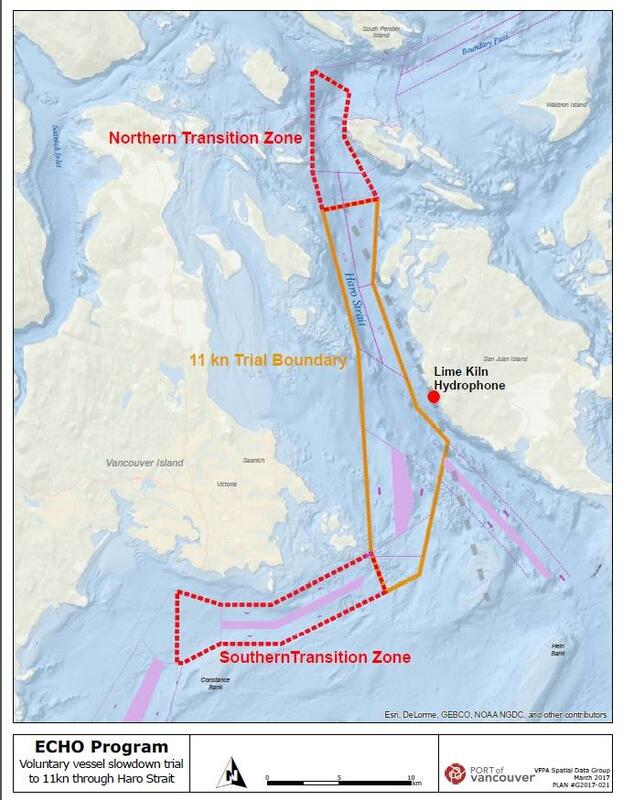 This map shows the voluntary vessel slowdown zone in Haro Strait shipping lanes. The slowdown corridor is about 16 miles long. Trounce acknowledged there is a trade-off in slowing down vessels because that means they linger longer in the whales’ presence, albeit less noisily. On balance, she said the modeling predicts a net benefit. Researchers also have years of baseline observations of whale behavior in Haro Strait for comparison. You can listen to the underwater soundscape of Haro Strait through a live-streaming hydrophone at Lime Kiln Lighthouse via the SeaSound Remote Sensing Network. Next articleCould LKSD support of Alaska Native teacher training put an end to teacher turnover?